A network of more than 30 different lenders who can help find the right financing for your adoption. APF originally financed medical bills and has subsequently branched out into adoption. A small foundation providing grants from $1,000-$10,000. affordable and accessible to any family wanting to adopt. a list of employers who provide adoption benefits. Grants up to $10,000 to families adopting international orphans. This tax credit provides the adoptive parents with a $10,000 credit per child for expenses paid to adopt. For incomes below $150,000, the entire credit can be taken. For incomes between $150,000-$180,000, a partial credit can be taken. For detailed information, review IRS Form 8839 and instructions. Offers grants amounting to $2,000 or more to families adopting. designed to help offset the short- and long-term costs associated with adopting children who need special services. The military will reimburse active-duty personnel for most one-time adoption costs up to $2,000 per child. A nonprofit foundation that helps families overcome some of the initial financial burdens of adoption (home study, legal fees, etc.). The Adoption Assistance Loan is offered to you by NAF in partnership with American General Financial Services. Call 888-627-8767 for an application. Often family members will give loved ones who are adopting a personal loan or monetary gift to assist with adoption costs. Booklet available, titled "How to Make Adoption an Affordable Option." Call 888-878-3256 to order and reference item #508-F. 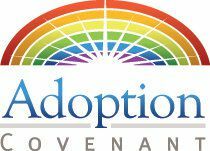 Nonprofit organization that helps Christian adoptive parents overcome the financial obstacles of adoption. Based on financial need. Offers interest-free loans to Jewish adults who wish to adopt children internationally or domestically. A single person or couple may borrow up to $10,000 toward the expenses incurred for the adoption of a child. Classified state employees are entitled to a State Adoption Employee Benefit allowing them to receive up to $3,000 per adoption.